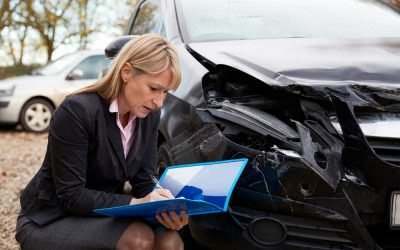 Florida Cracks Down on Staged Car Accidents | The Law Firm of Anidjar & Levine, P.A. In a “panic stop,” a car driver causes a rear end accident by suddenly slamming the brakes. Such collisions are some of the most common in the state. According to Florida officials, many of them are staged. Earlier this month, Miami police officers demonstrated the panic stop and other staged accidents at a training facility in order to educate South Florida drivers on the fraudulent behavior that is raising personal injury protection (PIP) insurance premiums and encourage them to report such behavior. In addition to staging an accident, perpetrators also often work with sham clinics to charge insurance companies for medical exams and procedures that simply never happen. At the event, Florida Chief Financial Officer Jeff Atwater encouraged people to report those who are engaging in insurance fraud to the state’s tip hotline (800-378-0445). The state offers rewards of up to $25,000 for a referral that leads to a conviction. Proposed state legislation attacking fraudulent PIP claims failed to win approval in the state Legislature this year as some lawmakers worried that the laws would discourage policyholders with legitimate claims from filing. Already, two new bills have come up, this time aimed at driving down PIP costs in other ways. One would allow insurers to give policyholders discounts for agreeing to use the insurers’ preferred doctors. Another would expand the reasons for which insurers can deny claims. Despite the rise in staged accidents, responsible South Florida motorists are injured every day in real auto collisions. Rear end accidents are among the most common types of automobile collisions in the United States. These accidents often occur as a result of careless, inattentive or distracted driving. If you were involved in a rear end collision, a free consultation with an experienced South Florida personal injury attorney can help you to weigh all of your legal options. Call Anidjar & Levine’s Fort Laurderdale office today at 800-747-3733.